By now you have most likely heard the 50 different rumors that have been making the rounds about the imminent 9th edition of Fantasy. Everyone seems to be going into panic mode and chucking their armies out the window, but it's not nearly as bad as you think. Lizardmen, Tomb Kings, Dwarfs, and Brettonians are gone, square bases are a thing of the past, there is going to be a new Space Marine equivalent holy warrior army, half the production line is getting canned. Those are just a few of the rumors I have heard about the future of GW's oldest game system. If you believed all of those, it would be easy to see why so many people are rage quitting and moving on to other games. There is just one important thing to keep in mind, they are all only rumors. Here are some other rumors. The End Times was originally said to be just two books. 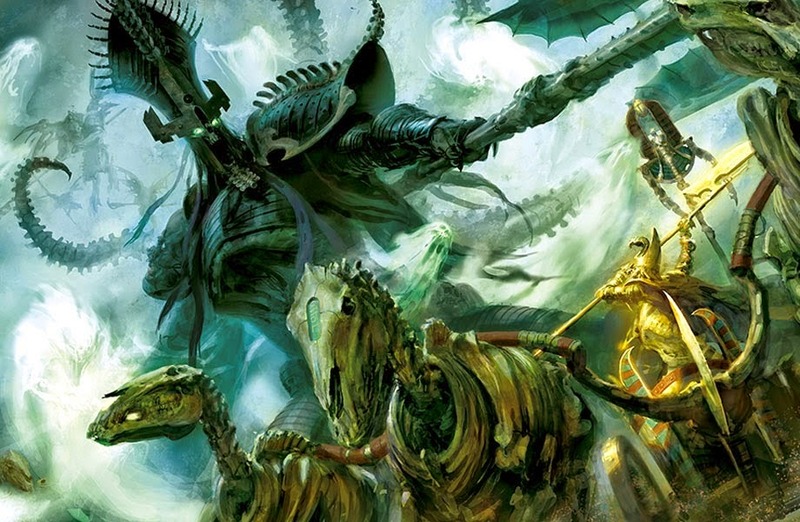 Tomb Kings were going to be getting a Hierotitan model and Aborash was going to be riding a flying chariot with the Nagash release. Brettonians were supposed to come out last summer. The Archaon release was going to include a new Chaos Dragon model. A new skirmish level starter set for Fantasy 9th edition with Forces of Light versus Chaos was supposed to go on pre-order last weekend. What's the one thing that is common between all those rumors? None of them panned out. When these rumors first hit the internet they were 100% true, from reliable sources, that will definitely happen, now that's been disproven. Already we have heard a few different versions of the dreaded round base rumor. First it was everything was switching to round bases, then it was everything is staying square, then we heard square bases except for characters and war machines which were getting round, now the latest says all round again. That's all within the span of a few months. At this point I feel pretty confident in saying that the new rumors contain at most, about 10% truth. 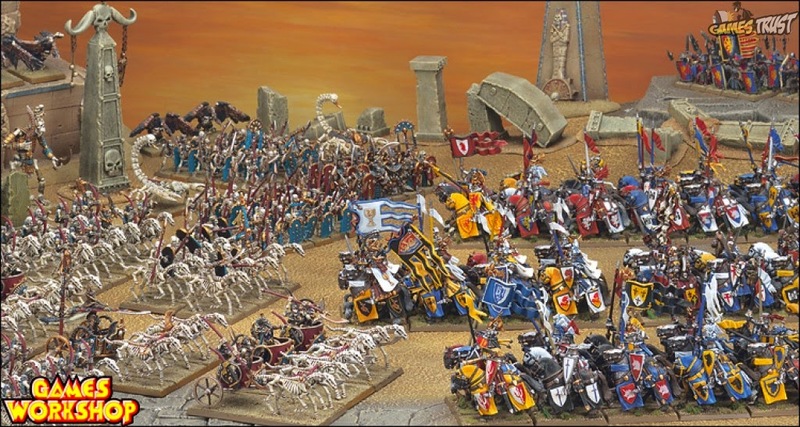 Personally, I feel a mix of trepidation and excitement about what the future of Warhammer holds. Yes, I am worried that maybe my beloved Tomb Kings may become relegated to using an outdated army book for eternity, but there is nothing to confirm that. In fact, the only reason I am even worried about something like that is because of these rumors that seem to have no purpose other then to stir up fear and rage. 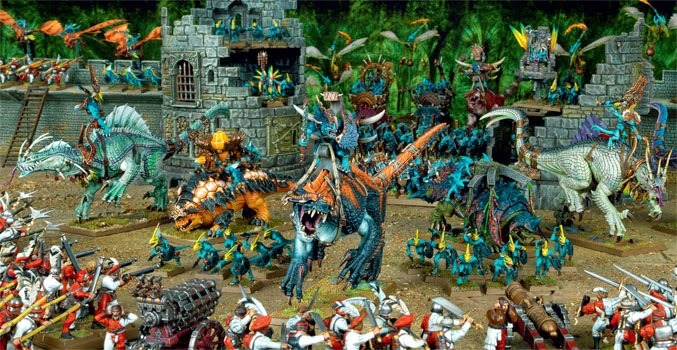 The potential for the new Warhammer is almost limitless. I think the play style will stay more or less the same, with maybe some skirmish rules thrown in to help the game scale better. As far as the fluff goes, it's anyone's guess at the moment. Here is what I could see them doing. The Elven lore states that everything goes in cycles, so why not the whole world? After the end of Archaon the world as we know it is gone, but some godly essence clung on to its dying embers and breathed new life into it. The world starts anew with the departed Lizardmen returning and acting as their own Old Ones. History progresses in much the same way, with the rise and fall of nations and races, leaving us with a world very similar to the one we last saw, but subtly different in important ways. Maybe Tilea, Estalia, and Kislev are now merely provinces in a greatly expanded Empire. Perhaps the Elves resolved their conflict long ago with all branches of their kind living amicably under one king, but still with the three kingdoms of Ulthuan, Naggaroth, and Athel Loren. Maybe the continents are even in different shapes and places due to the will of the Slann. Skavenblight could exist outside of the normal dimension, having teleported away before the conclusion of the End Times, the last true survivors of the Old World. The possibilities are endless, and truthfully I see the End Times being more of a tool for GW to toss out some old Finecast kits they don't plan on redoing, reshape their world to be a little more unique, and rebrand some of their races with a more trade markable name. Honestly, until 9th hits (which now the rumors say will happen in July) we don't know. I don't think we will hear anything really solid until a week or two out. So keep playing 8th for now and keep your hopes high. The writing in the End Times series has been some of GW's best to date, so whatever direction they plan on taking Fantasy, I'm sure they will do a good job at it. I wouldn't even put it past them to provide rules to play pre and post End Times to keep everyone happy. Also, keep in mind that the new Total War: Warhammer was just announced, and is said to be the first in a trilogy. This game is clearly set in the classic Warhammer setting since it has both Karl Franz and Mannfred in it. GW doesn't actually make that much money off of licensing their IP. The main advantage for them is using it as a gateway to draw in new players to the tabletop. Just look at how many new people came in from Dawn of War. What would be the point of having a gateway game out there for a game that isn't even recognizable from the one in the video game? 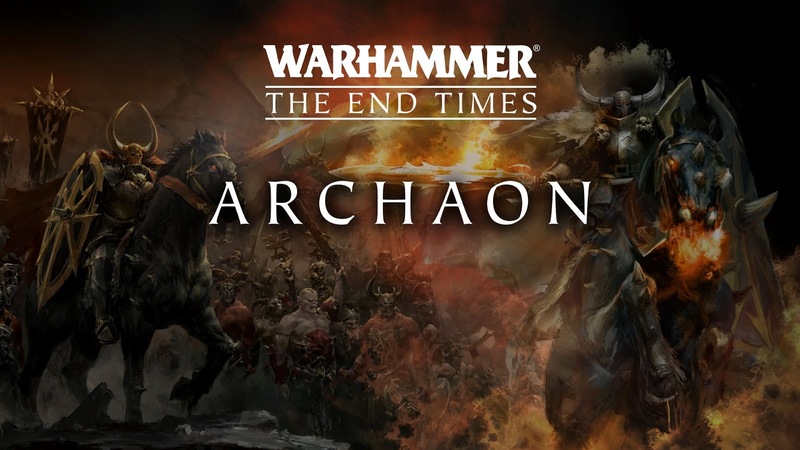 Heck, maybe the miracle that godly essence performs at the end of Archaon is to turn back the clock to before the End Times? In short, don't panic, keep on painting and playing. Fantasy isn't dead and won't be going anywhere anytime soon. All of the rumors are just that, rumors. While I will definitely keep up to date on any news coming out about 9th, I will be taking everything with a grain of salt. There is no point in getting bummed out about something we don't even know anything about. 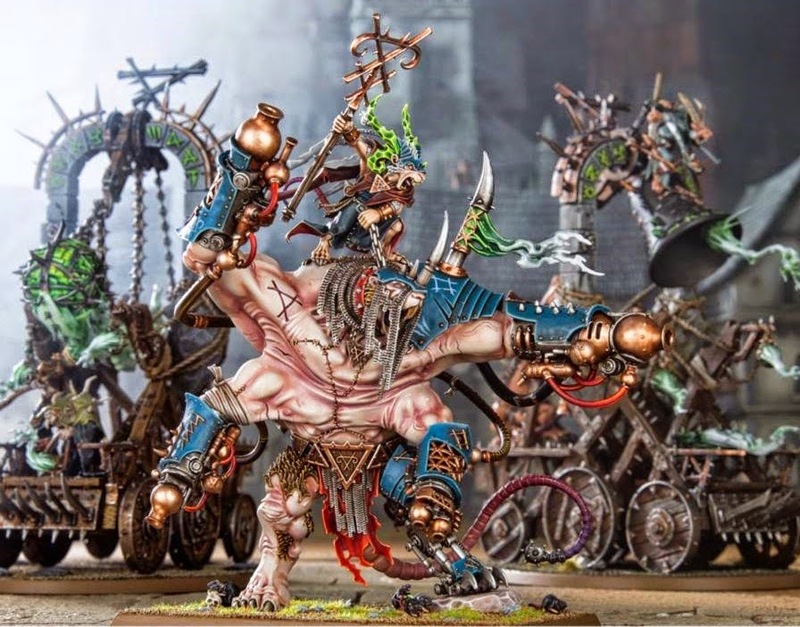 While you may want to hold off on making any major purchases until the dust settles, which is perfectly reasonable, I am sure the majority of us have a large back log of models to get through and paint. I for one will keep painting my Tomb Kings, despite what the naysayers claim.